Are you considering upgrading your imaging capabilities but are working within the confines of an equipment budget? You won’t believe how much we can improve your imaging performance. Interline CCD and early sCMOS technology has been the dominant ‘workhorse’ detector type for cell microscopy. It is ideally placed to become the new gold standard ‘workhorse’ laboratory detector. The table below compares some typical performance specifications of a 1.4MP interline CCD to those of the new Zyla 4.2P sCMOS, outlining the approximate factor improvement that is available. Why is Zyla such an all-round great imager? Superior performance – vastly superior to interline across key performance parameters. Image Quality - a huge amount of effort and on-camera (FPGA) intelligence has gone into optimizing image quality in Andor sCMOS. Affordable Price – with so many superb features, we have endeavoured to make the Andor sCMOS accessible to every lab. ZYLA 4.2P USB3 is the ideal detector for all applications in microscopy offering a large field of view combined with fast frame rates, extremely low read noise and higher QE. If you require single photon sensitivity the new ‘supercharged’ iXon Ultra 888 is the perfect solution. Combining this camera with the free Optomask* it can achieve speeds of 697 fps from a 128x128 ROI. Learn how our customers use Andor sCMOS cameras for their Applications. We have a range of case studies available to read which highlight different applications of microscopy with a variety of microscopy set-ups. 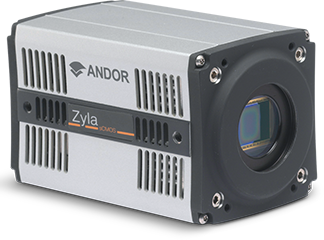 "In comparisons, Andor’s sCMOS camera showed lowest dark noise, biggest field of view and fastest frame rate.."
"The new Andor Zyla delivers high speed, sensitivity and resolution in one package and unleashes the full potential of our microscopes." 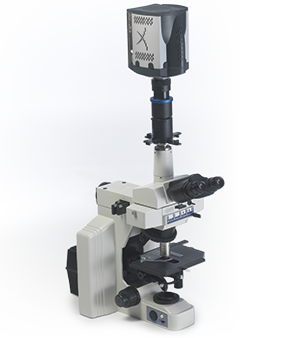 "For all of our microscopy applications, these new iXon cameras have been a breakthrough."